Home » Blog » Your HVAC Installation Questions Answered! 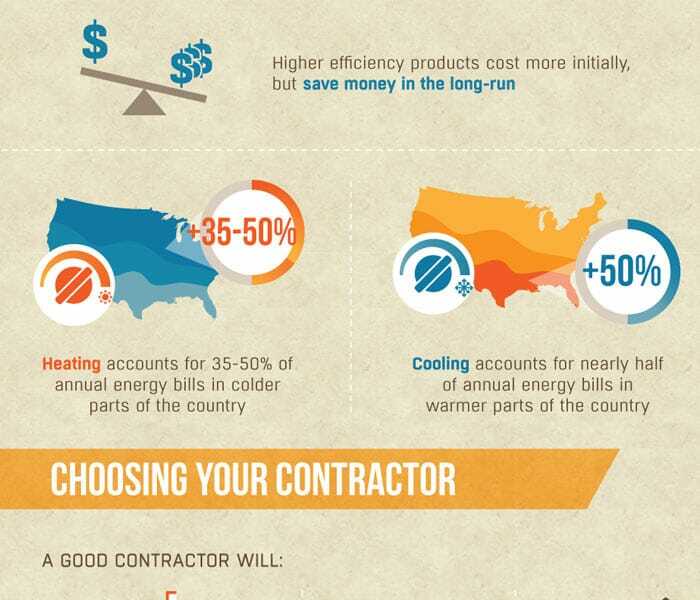 Your HVAC Installation Questions Answered! HVAC installation can be confusing to the average homeowner – heating and cooling systems are complicated, and most people do not have knowledge of the equipment. HVAC.com is here to tell you that’s ok! HVAC pros don’t expect homeowners to have the knowledge and experience they’ve received over years in the business and specialized education. Heating and cooling professionals are available to assist you with that knowledge and help you make the best decisions for a comfortable home. To make the process less mysterious, HVAC.com has answered some common HVAC installation questions below. Review these answers to help you familiarize yourself with the installation process so you can be more comfortable working with a local professional for the job. HVAC Installation Question: How do I go about getting a new heating and cooling system? 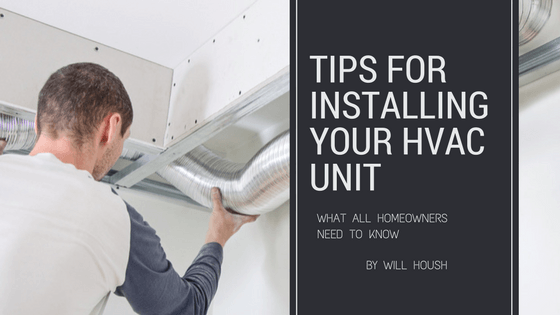 If you’ve never had to replace an HVAC system in your home, it’s understandable that you may not know exactly where to start when buying and installing new equipment! Don’t worry – by following these steps, you can get the ball rolling on your upcoming heating or cooling system installation project. Request Estimates: The next step is to request estimates from the local HVAC contractors you have selected. Contact your chosen companies to schedule a time for a representative to visit your home, evaluate the home and your needs, and discuss equipment choices that fit the bill. It’s wise to obtain 3 estimates from different companies before making a major purchase, like a heating or cooling system. Ask for itemized estimates to ensure you are comparing apples to apples across all quotes. Going with the lowest price isn’t necessarily the right choice for every homeowner – make sure you know what you are getting for the price. Ask about equipment and labor warranties, that could save money when or if repairs are needed. Schedule Installation: Once you’ve decided on an HVAC contractor for the job, it’s time to schedule your installation. Contact your chosen company to arrange the time and date. Depending on the season, your contractor may not have immediate availability – summer and winter are usually busy times in the HVAC world. If your contractor has to order equipment for your installation, your install date will depend on the time it takes to receive your new system. HVAC Installation Question: What is the installation process like? When it’s time to have your installation completed, the contractor will handle the job. You’ll need to schedule the installation and make sure your contractor has access to the installation area. Most furnaces are installed in the home, so you or another member of your household should be home on installation day to allow the contractor into your home. When installing air conditioner or heat pump exterior units, make sure your contractor has access to the area – unlock gates, clear away brush and debris. Here are some tips to help you prep your home for HVAC installation. Really, that’s all you need to do – your contractor will handle the actual installation of equipment, making sure the new system is connected properly to perform as you expect. HVAC Installation Question: How do I know I’m getting the right system for my home? For your new system to function properly, it needs to be sized appropriately for your home. Your contractor will perform a calculation called Manual J, also called a load calculation. This considers various factors about your home that contribute to heat loss, heat gain, and efficiency. Measurements are taken, construction and features of the home are considered, which help your contractor determine the capacity needed for a new system, and other needs to facilitate the new system install, such as ductwork installation or sealing to improve energy efficiency. If a contractor offers a quote over the phone or does not visit your house, you cannot know that the system is the right size for your home. Before choosing a contractor to perform your installation, ask if a load calculation was performed and why the contractor has recommended the specific model and capacity of heating or cooling equipment for your home. HVAC.com’s Contractor Directory connects homeowners to local heating and cooling professionals to answer your HVAC installation questions, provide top-notch service, and help you through repairs. Search by your ZIP code to locate HVAC contractors in your area who can assist you with your upcoming installation, repair, or maintenance project. HVAC Q&A: What is My Heat Pump’s Emergency Heating Setting?